The programs were abstinence-based, requiring physicians to abstain from any use of alcohol or other drugs of abuse as assessed by frequent random tests typically lasting for 5 years. Tests rapidly identified any return to substance use, leading to swift and significant consequences. Remarkably, 78% of participants had no positive test for either alcohol or drugs over the 5-year period of intensive monitoring. … The unique PHP care management included close linkages to the 12-step programs of Alcoholics Anonymous and Narcotics Anonymous and the use of residential and outpatient treatment programs that were selected for their excellence. That health professionals have more recovery capital and are more likely to recover than other addicts. That the threat of license suspension/revocation provides a unique combination of carrot and stick. We’ll never get that kind of engagement with regular people. That treating everyone in this manner would be too expensive—we’ve made a decision, as a culture, that we’re willing to invest this time and capital into addicted doctors but we can’t do it for everyone. I want to respond to these arguments in this post. There may be ways in which health professionals are unique in terms of recovery capital. This may be true. However, they also face a unique set of barriers when initiating recovery. A study of physician recovery programs (this excludes health professionals other than physicians) found high rates of opioid addiction (35%), high rates of combined alcohol and drug problems (31%) and high rates of psychiatric problems (48%). In addition, 74% were not self-referred. Further, health professionals confront easy access to drugs and with this ease of access to prescription drugs, they often develop tolerance levels that dwarf those of street addicts. So…they may have unique advantages, but they also have unique barriers. If there is a difference, is there reason to believe it’s stark enough to it wouldn’t work for other addicts? This is probably the strongest counter-argument. Health professionals place incredibly high value on their profession. They often put enormous time, effort and money into becoming a health professional, but it’s more than that. Their profession often becomes integral to their identity and is a key source of meaning and purpose. In health professional recovery programs, we’ve constructed a system that uses this incredibly powerful element of the addict’s life to initiate and maintain their recovery. And, it’s not just threats. They offer a path to returning to work in a pretty expeditious time-frame, they provide peer support, they develop contracts with employers that provide both support and monitoring. What else could be done? We don’t know. Because, as a system, we haven’t tried. lots of recovery role models providing support and demonstrating that all of this is do-able. If we can create systems that provide this kind of back door and integrate long term recovery monitoring and support, I think it could go a very long way toward overcoming the long-term-voluntary-engagement-without-coercion issue. I’m not suggesting that we’ll have relapse rates as low as 22% over 5 years. I’m also not suggesting that it’d be easy to keep people engaged for 5 years. But, what’s possible? Huge improvements, I’d imagine. But, we don’t know, because we haven’t tried. Imagine that we tried and engaged in continuous improvement for 10 years. How far could we go? So, then, what is provided and what might it cost to replicate it? The first phase of formal addiction treatment for two thirds of these physicians (69%) was residential care often for 90 days. The remaining 31% began treatment in an intensive day treatment setting. The participants at this stage usually received multiple intensive sessions of group, individual, and family counseling as well as an introduction to an abstinence-oriented lifestyle through required attendance at Alcoholics Anonymous (AA), Narcotics Anonymous (NA), and Caduceus meetings (a collegial support association for recovering health professionals) and other mutual-aide community groups. Frequent status reports on treatment progress were required by most PHPs. Use of pharmacotherapy as a component of treatment for SUDs was rare. Very few of the treatment programs or the medical directors of the PHPs used any of the available maintenance or antagonist medications. After completion of initial formal addiction treatment, all PHPs developed a continuing care contract with the identified physician consisting of support, counseling, and monitoring for usually 5 years. Most PHPs (95%) also required frequent participation in AA, NA, or other self-help groups and verification of attendance at personal counseling and/or Caduceus meetings. Physicians were tested randomly throughout the course of their PHP care, typically being subject to testing 5 of 7 days a week. Physicians were typically tested an average of four times per month in the first year of their contracts for a total of about 48 tests in the year. By the fifth year, the average frequency of testing was about 20 tests per year. How much would this cost to replicate? The following is based on Dawn Farm’s fees and costs. 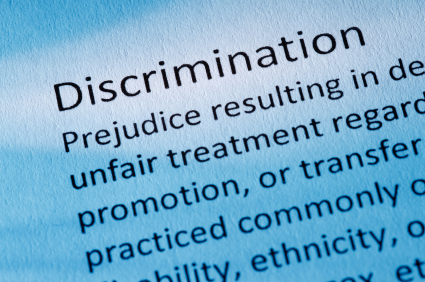 Now, this does not include one important element—a workplace monitor and a career employer making contract compliance a condition of employment. However, we offer transitional housing to clients for up to two years. At less than $38,000 for the whole package, in the context of American healthcare spending, this does not seem to be an unsustainable burden and, in fact, is likely to be a very wise investment in pure financial terms. It’s in the same ballpark as inserting a stent–just the procedure, excluding continuing care, medications, etc. We implant 2,000,000 stents per year. Imagine what would be possible if 2,000,000 addicts were given that opportunity. Imagine what we could learn. At less than $35,000 for the whole package, in the context of American healthcare spending, this does not seem to be an unsustainable burden and, in fact, is likely to be a very wise investment in pure financial terms. It’s in the same ballpark as inserting a stent–just the procedure, excluding continuing care, medications, etc. We implant 2,000,000 stents per year. The last couple of days’ posts, a recent conversation and some recent news (I’ll let you guess which story.) reminded me of this post. It’s from a couple of years ago and has a couple of minor updates. Ms. Brown: You know, one of the most interesting things I’ve found in doing this work is, you know, something the wholehearted share in common is this real profound sense of hopefulness. 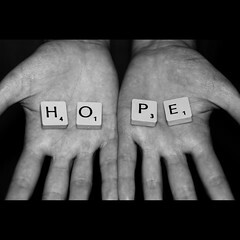 And as I got into the literature on hope, very specifically C.R. Snyder’s work from the University of Kansas at Lawrence, that hope is a function of struggle. a cognitive, behavioral process that we learn when we experience adversity, when we have relationships that are trustworthy, when people have faith in our ability to get out of a jam. Ms. Brown: Right. And, you know, I’m literally — I don’t even know how to talk about it. It really just floors me that, when I go out and I do a lot of talks for big corporations, you know, Fortune 100 companies, how many people tell me — like the HR folks who I end up — luckily, I love them and I get to talk to them a lot, who will tell me how often parents call to go over the performance evaluation of their children or to find out why they didn’t get a raise or a promotion. Ms. Tippett: I mean, I just took my daughter to college and we got this lecture, the parents and the families who were there, from like the Dean of Students and it was so clear that they were dealing with that same thing, right? I mean, they basically said I need you to understand that we’re going to take great care of your gem and also that my relationship is to them and not to you. We got this lecture, which was clearly based on parents still trying to control. You know, again, it’s like, boy, we know this, don’t we, this desire that you have to create a beautiful world and life and experience for these people you love? Ms. Brown: You know, and I’ve seen how this research has really changed, you know, like I’ll give you just a very specific example. My daughter decides, you know, that she wants to try out for something that she’s really new at. You know, a sport or something that she’s just taken up. Ms. Tippett: Right. Right. Well, I mean, here’s this other sentence that’s a corollary to the sentence hope is a function of struggle. You say you look at a baby, your newborn baby is hard-wired for struggle. It’s built in us that that is how we are going to shape, that that’s what we’re going to encounter, that’s how we’re going to shape ourselves. That’s actually a really hard thing to take in, you know, as a parent, especially thinking about those moments early on when you first meet this being that is going to have dominance over your life. Abstinence—The Only Way to Beat Addiction? 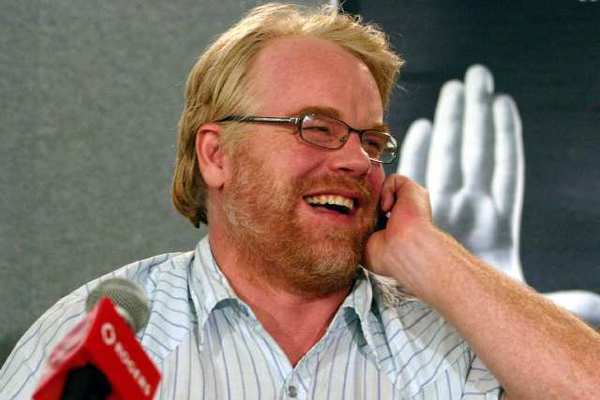 What killed Philip Seymour Hoffman? According to Anne Fletcher, it wasn’t the doctor who prescribed him the pain medication that began his relapse, it wasn’t the prescribers of the combination of meds found in his body, it wasn’t his discontinuing the behaviors that maintained his recovery for 23 years, it wasn’t a drug dealer, and it wasn’t addiction itself. This is exactly what happened when Amy Winehouse, Heath Ledger, Corey Monteith, and most recently, Phillip Seymour Hoffman were found dead and alone. Scores of people most of us never hear about suffer a similar fate every year. Why does this keep happening? One of the answers is that many people struggling with drug and alcohol problems have been “scared straight” into believing that abstinence is the only way out of addiction and that, once you are abstinent, a short-lived or even single incident of drinking or drugging again is a relapse. “If you use again,” you’re told, “you’ll pick up right where you left off.” Once “off the wagon,” standard practice with traditional 12-step approaches is to have you start counting abstinent days all over again, and you’re left with a sense that you’ve lost your accrued sober time. She’s describing a theory often referred to as the “abstinence violation effect”. The argument is that the “one drink away from a drunk” message in 12 step groups is harmful and makes relapses worse than they might have been. First, many people experience problems with drugs and alcohol without ever developing an addiction. Most of these people will stop and moderate on their own. These people are not addicts and their experience does not have anything to teach us about recovery from addiction. Second, loss of control is the defining characteristic of addiction. The “one drink away from a drunk” message is a colloquial way of describing this feature of addiction. Further, she characterizes AA as opposing moderation for problem drinkers, when AA literature itself says, “If anyone who is showing inability to control his drinking can do the right- about-face and drink like a gentleman, our hats are off to him.” 12 step groups believe that real alcoholics will be incapable of moderate drinking, but they are clear that they have no problem with people moderating, if they are able. This is a straw man. We’re left to wonder why a best selling author and NY Times reporter would attack 12 step groups with a straw man argument and a long discredited theory. via Abstinence—The Only Way to Beat Addiction? Part 1 | Psychology Today. I see two reasons this book is an important contribution to recovery literature. First, it’s the first book I’ve seen (not that I’m well read in the area) that places such emphasis on physical wellness and self-care as an important element of recovery within traditional 12 step recovery paths. I’ve seen it addressed as an aside, and I’ve seen it offered as an alternative path, but not as an important element within traditional recovery paths. As researchers and clinicians search for every tool to give addicts any possible edge as they initiate and maintain their recovery, we’d be wise to take notice. There is a growing body of evidence to support Matesa’s assertions that these are important elements of recovery rather than frivolous and indulgent accessories to treatment and recovery programs. Second, I am convinced that the future of treatment and recovery programs (All chronic disease management programs, really.) should emphasize a lifestyle medicine as the foundation of care. After all, “recovery as a lifestyle” epitomizes one of the things addiction treatment has gotten really right historically and something the rest of chronic disease care could learn from us. Despite this, professionally directed treatment that discusses the idea of the “recovery of the whole person” has mostly been lip service. Matesa brings this concept to life and presents holistic recovery as a lifestyle to be cultivated, practiced and maintained. On this front, she’s far ahead of professionals and researchers. The field is not there yet and too often equates recovery with swallowing pills or passively doing what professional helpers direct them to do. Matesa bypasses professionals and speaks directly to recovering people as a peer, calling them to action and offering experiential and empirical truth. That’s radical, in the best sense of the word. Her writing is very accessible, is not preachy, and unpretentiously conveyed a lot of deep truths that I hadn’t considered but seemed self-evident as soon as I read them. 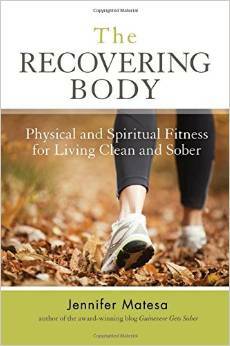 On a personal note, as someone who only started paying attention to physical fitness after 20 years of sobriety, the book takes a lot of previously disparate pieces of information that I vaguely knew to be true and organizes them into framework that not only deepened my understanding, but offered a concrete path to continue enhancing and securing my own recovery. I highly recommend it.